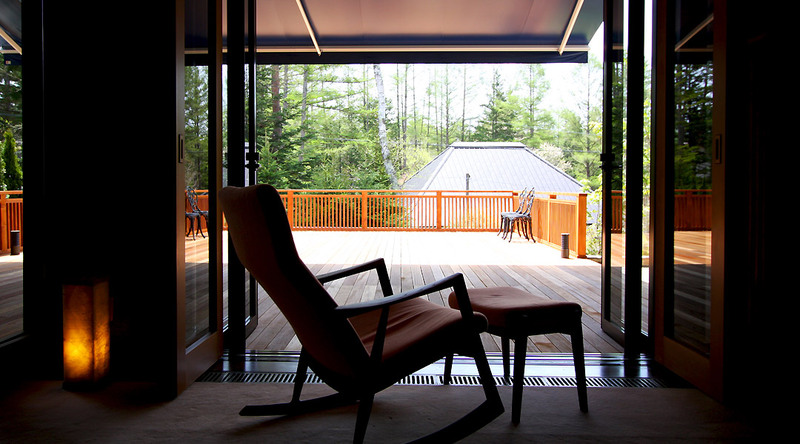 one of Japan's most popular highland resorts. 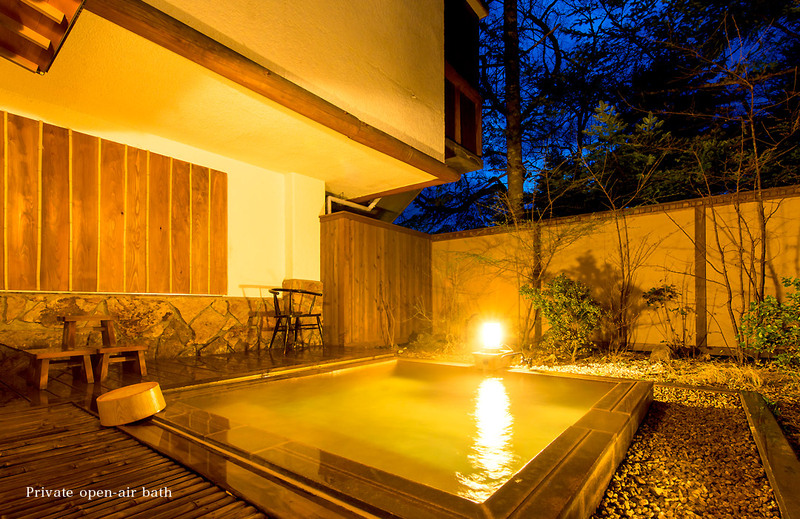 Tucked away in a highland resort blessed with an abundance of nature and hot springs, Tateshina Kaoru Kaze is a little hot spring hideaway inn with just 12 rooms. 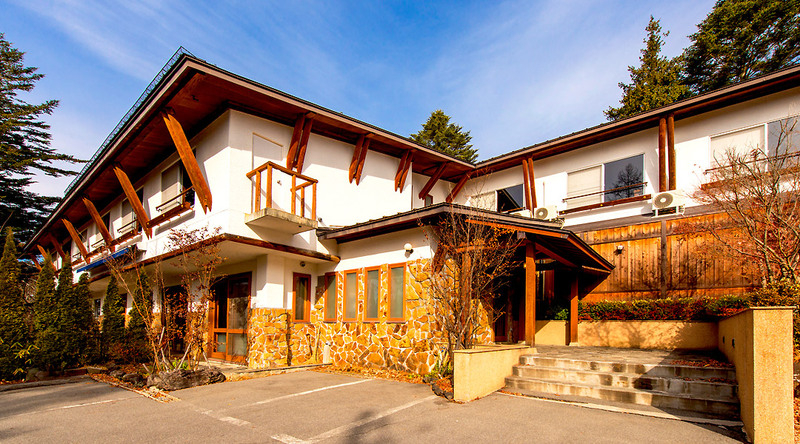 The rooms come in different sizes and all offer their own particular atmosphere, and the warm food, the natural hot spring (whose waters are 100% from-the-source) and the cheerful staff are all part of the service by which the inn makes guests feel right at home. There are 12 guest rooms in all. 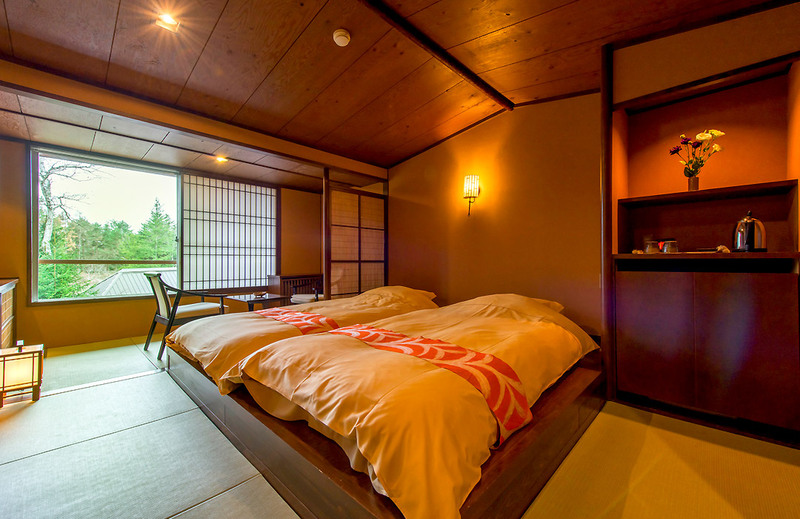 The guest rooms are basically divided into two types: "Japanese twin" type rooms in which guests sleep in a bed, and "Japanese style" rooms, which have tatami mats. 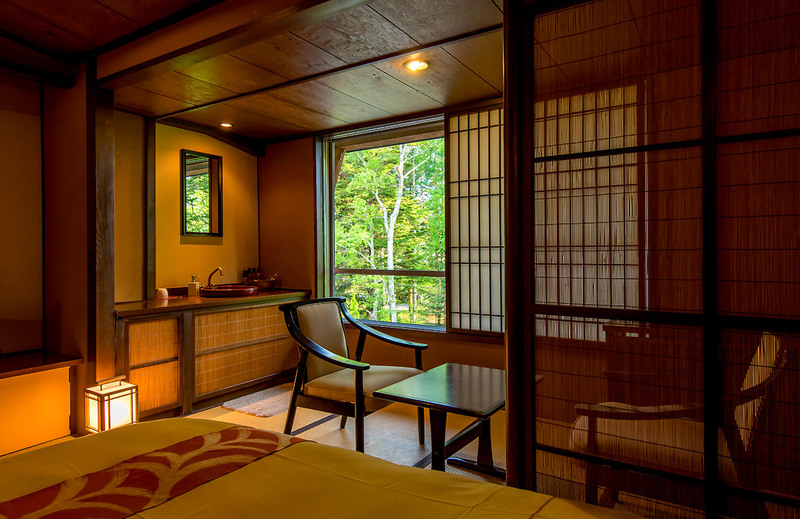 Four of the "Japanese style" rooms have an en-suite open-air bath, and room each has its own particular flavor. 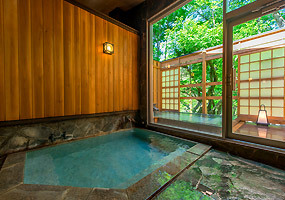 The water in all the en-suite open-air baths is 100% free-flowing from a hot spring source. All the guest rooms are named after wild plants. For example, you could stay in "Rindo" (gentian), or "Waremoko" (great burnet). The rooms have a television and an internal phone. 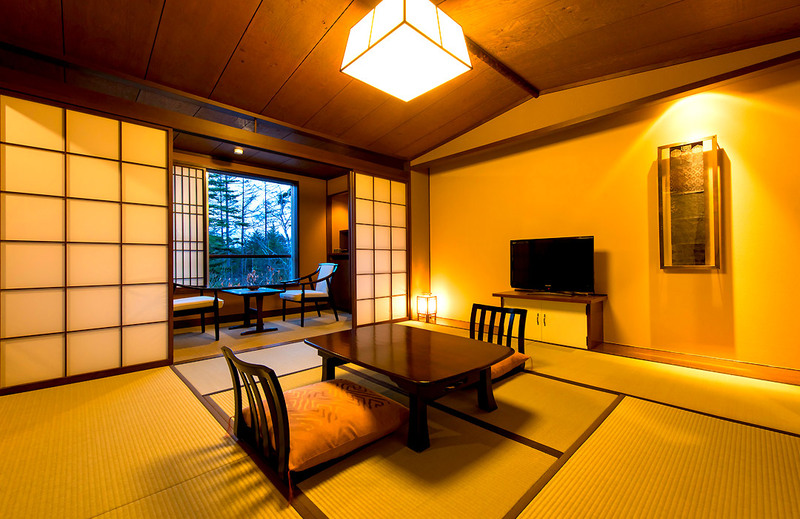 Amenities include large and small towels, yukatas, brushes and soap and toothbrushing sets, and tabi socks and shawls are provided for each guest when it's cold. 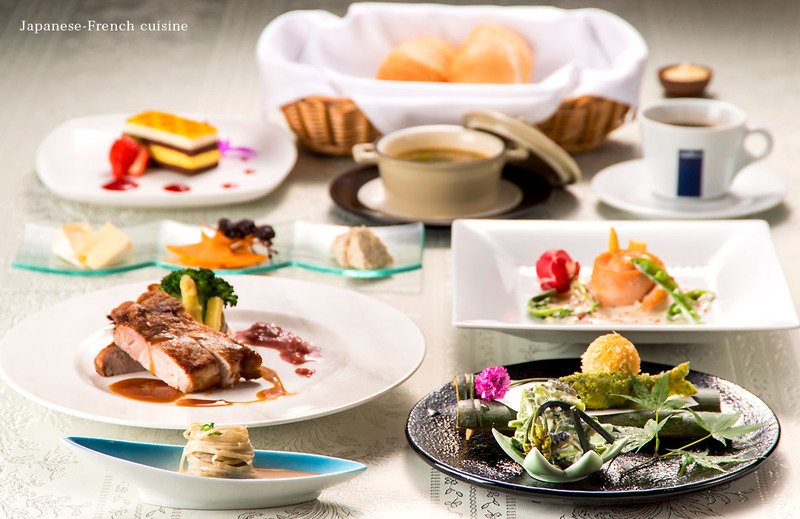 and Western food in the form of an original menu of French cuisine. 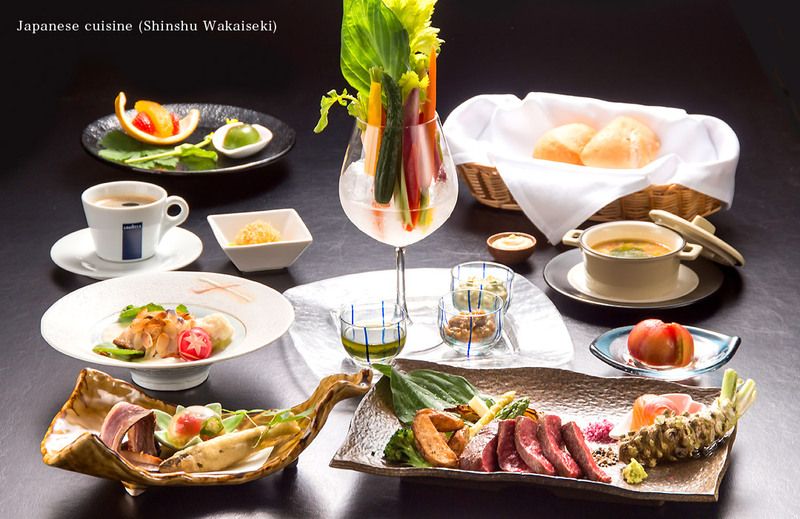 Appetizer, "hassun", "wanmono"... Our Wakaiseki course dinner unfolds according to the formally prescribed order, and follows the rules just as they are. We have a dining room with tables and chairs so that guests from overseas can enjoy their meals in comfort. 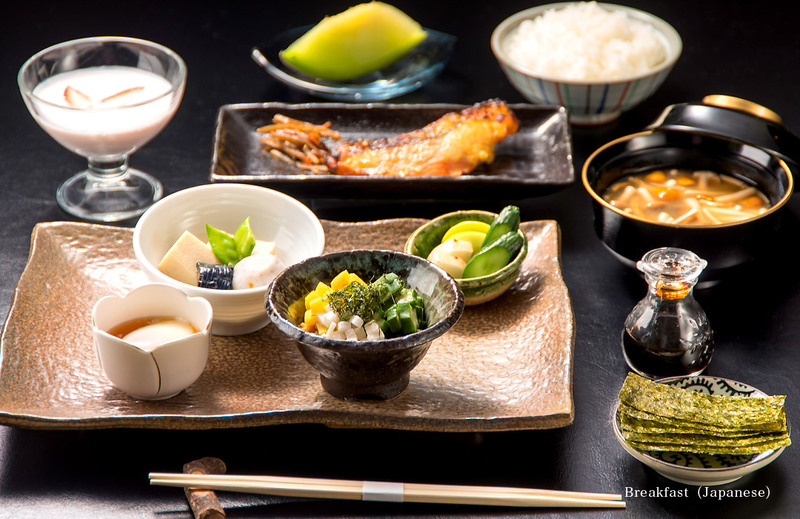 this is a French course meal with a Japanese flavor, into each dish of which the chef has found a way to work in Japanese ingredients and seasonings. 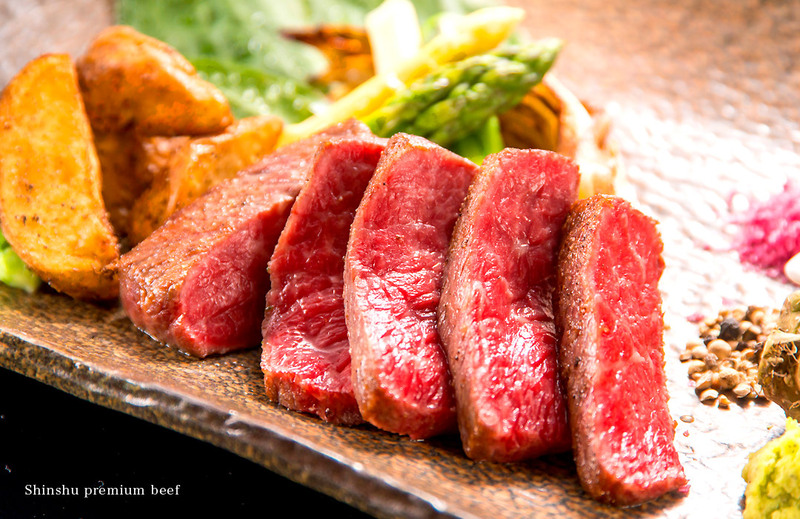 We have a wide range of alcoholic beverages, and not only for combinations like Japanese cuisine with Nihonshu and Western cuisine with wine: we also have wine which goes with Japanese food and Nihonshu which goes with Western food. Our staff can talk to you about the menu of the day, get an idea of your preferences and then recommend suitable beverages. 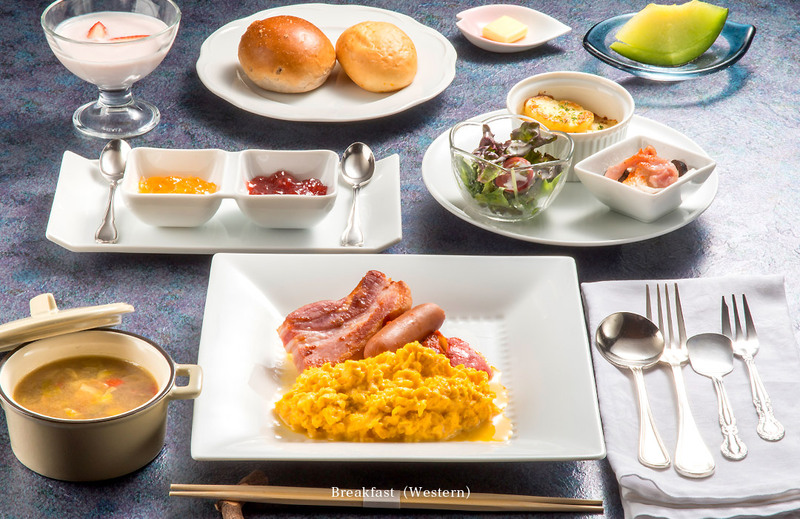 then soaked in a hot spring and finally stretched yourself out on a soft futon, it's time to complete your relaxation with a breakfast which is designed to be kind to the body. 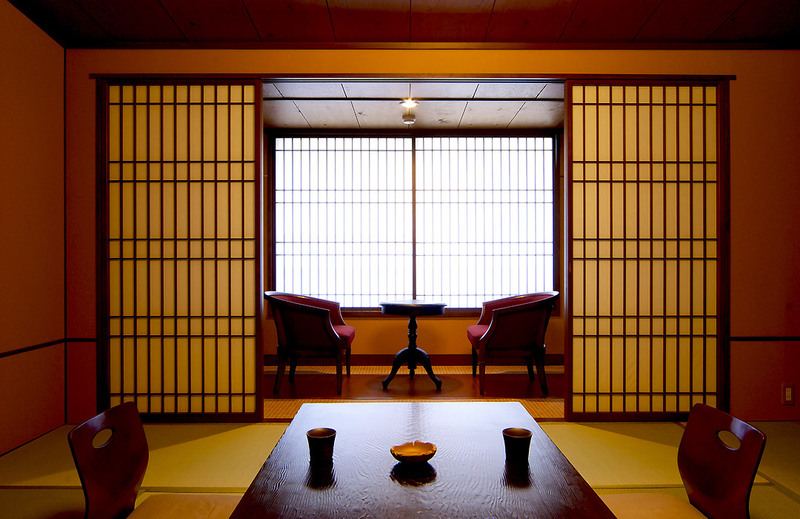 The same as for dinner, we offer two types of meal: Japanese and Western. Each guest can choose whichever he or she prefers. Ingredients are local, with fresh vegetables used in particular abundance. 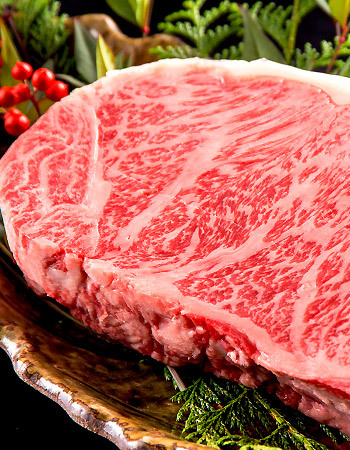 For ingredients, besides local Tateshina vegetables, seasonal wild plants and local brand foods like Shinshu salmon and Shinshu char trout, the cuisine uses generous amounts of the delicious meat which Shinshu produces, with Shinshu premium beef, an object of special local pride, heading the list. This is a breakfast menu which strikes just the right balance between ingredients with body warming effects and ingredients with body cooling effects. 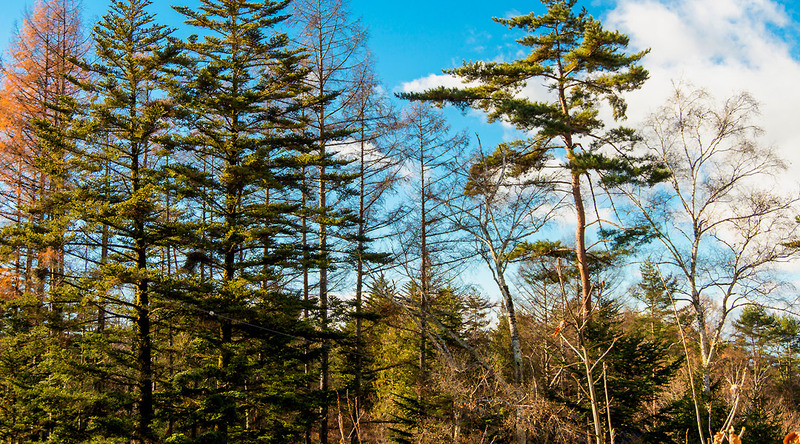 Our aim is to provide an energy boost so our guests can set out for the day with a spring in their stride, their bodies and spirits refreshed and their metabolisms well and truly in gear. 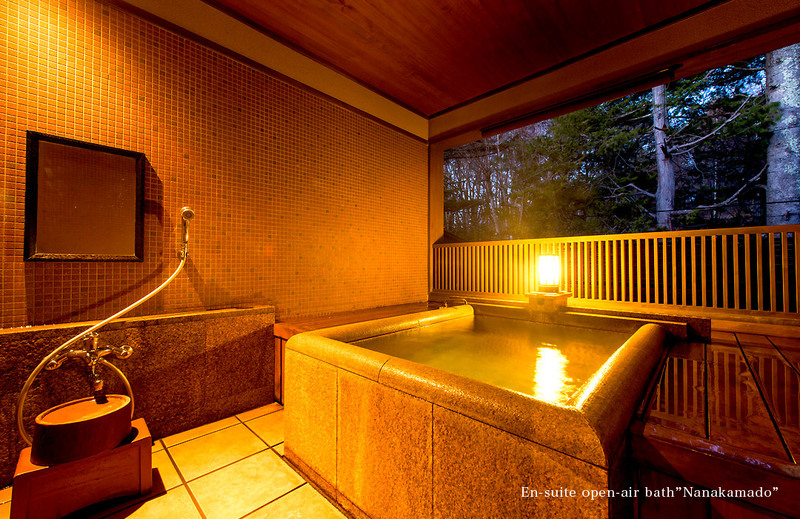 The water for the inn's baths is all piped in directly from nearby Mimuro Hot Spring, and is free flowing, genuine, 100% natural hot spring water with no extra heating and no other water added. The spring quality for this water is classified as a sodium chloride sulfate spring, and it is a strongly acidic spring with a pH of 2.9. Please be careful not to immerse easily oxidized metal items in the water when bathing. By way of beneficial effects, the hot spring can help with neuralgia, muscle pain, recovery from fatigue and improved health. 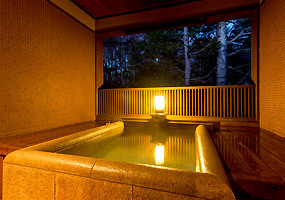 We ask that guests who have a fever and guests with a history of heart trouble kindly refrain from using the inn's baths. 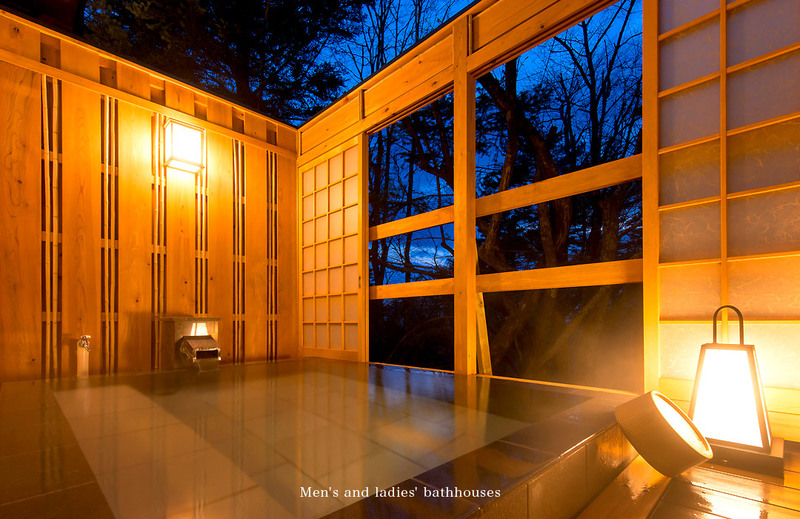 There are two bathhouses in the inn.There is one bathhouse for men and one for ladies, and they switch at 9:00 p.m. so guests can experience both during their stay. 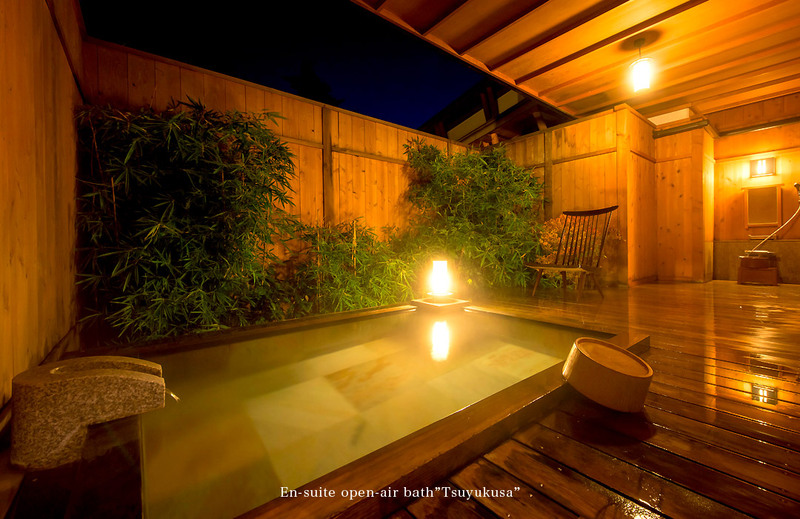 We have a large open-air bath which can be reserved for private use by the whole family. 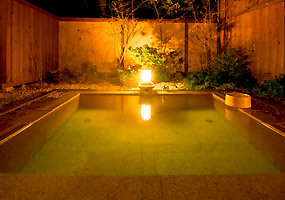 Guests can just pop in for a soak at their leisure if it's free. 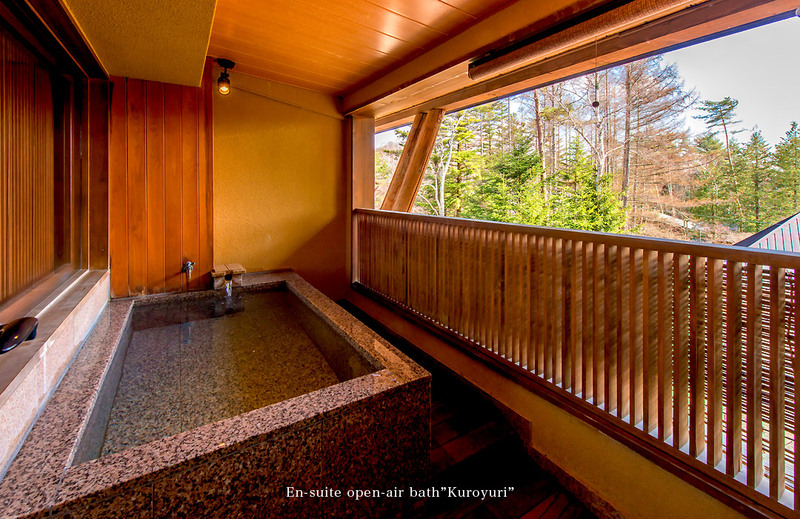 Each of the four rooms "Kuroyuri", "Nanakamado", "Ayame" and "Tsuyukusa" has an en-suite open-air bath. 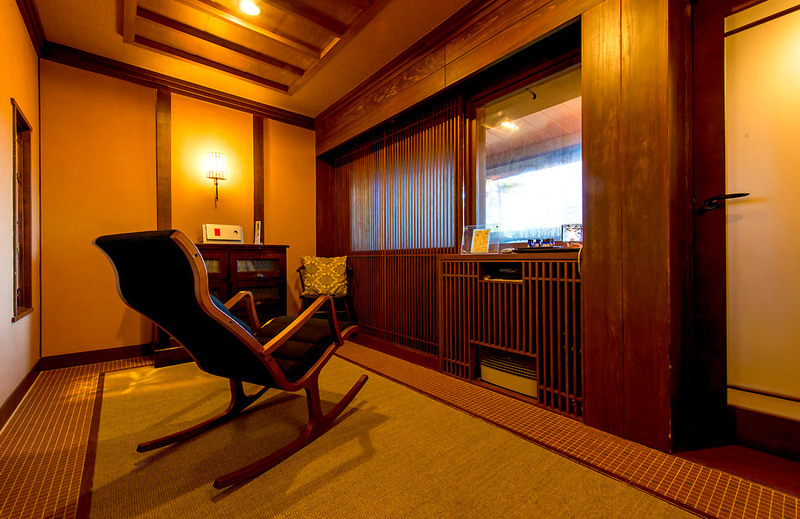 Other facilities at the inn include a lounge with a large fireplace bearing the Kaoru Kaze symbol, and a very spacious wood deck. 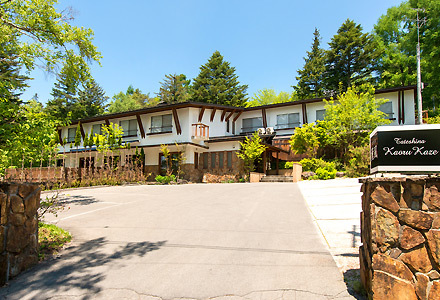 Guests are free to use either during their stay. 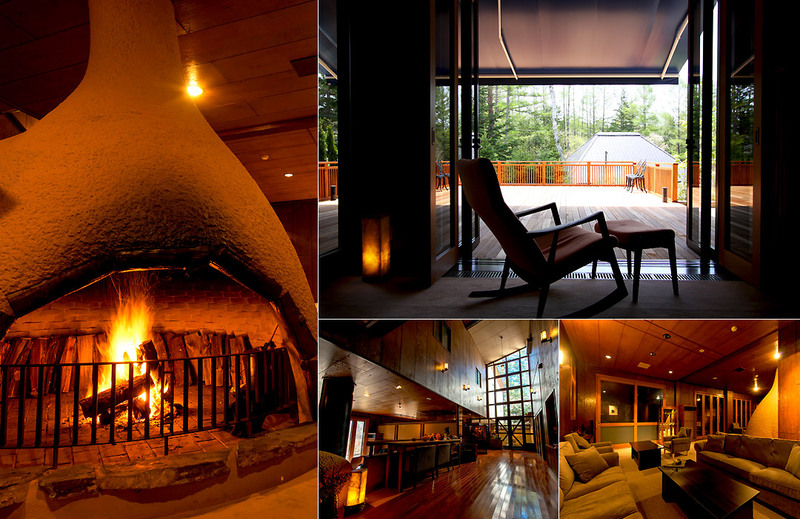 A real wood fire burns in the fireplace from November to April every year. The flames are so powerfully bewitching that guests watching them while relaxing before the fireplace on winter evenings often forget what they were talking about and, quite unawares, end up simply gazing into the fire. The fire will surely be one memory of Kaze Kaoru which will keep a peaceful fire glowing in guests' hearts for a long time to come. Guests can take their dinnertime desserts and after-breakfast coffees in front of the fireplace in the lounge and on the wood deck. ※Click on the "+" and "-" at the bottom right of the map to toggle between close-up and wide-area views.